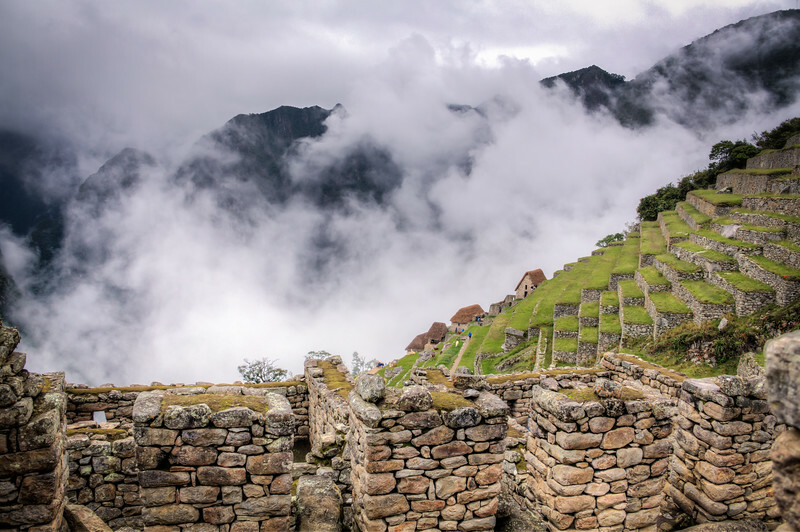 An impressive view on the last day of the Inca Trail. 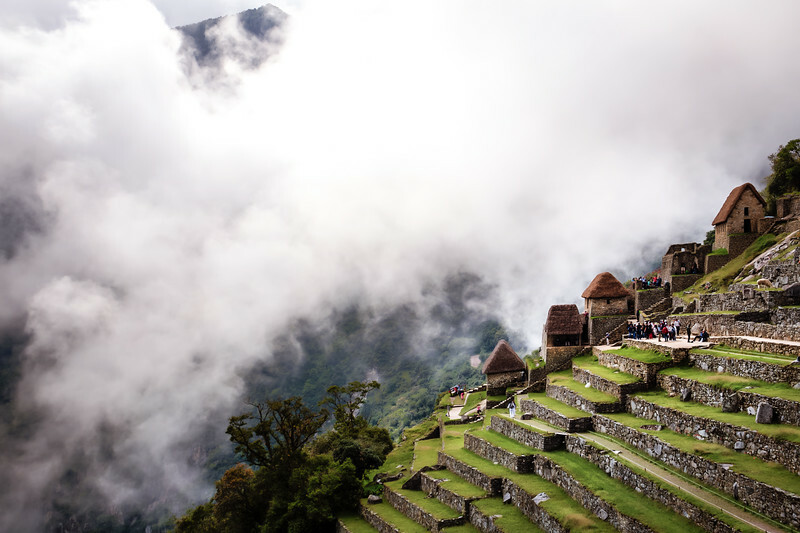 Breathtaking views. 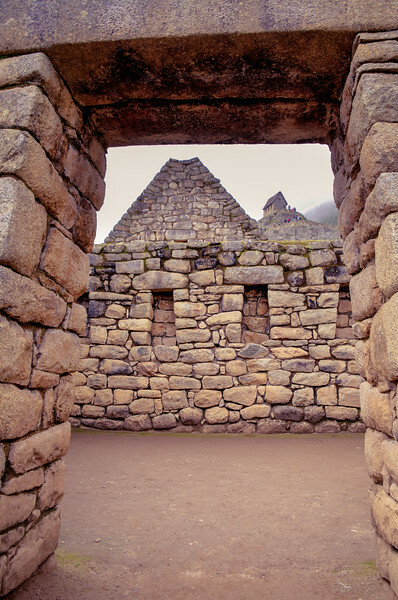 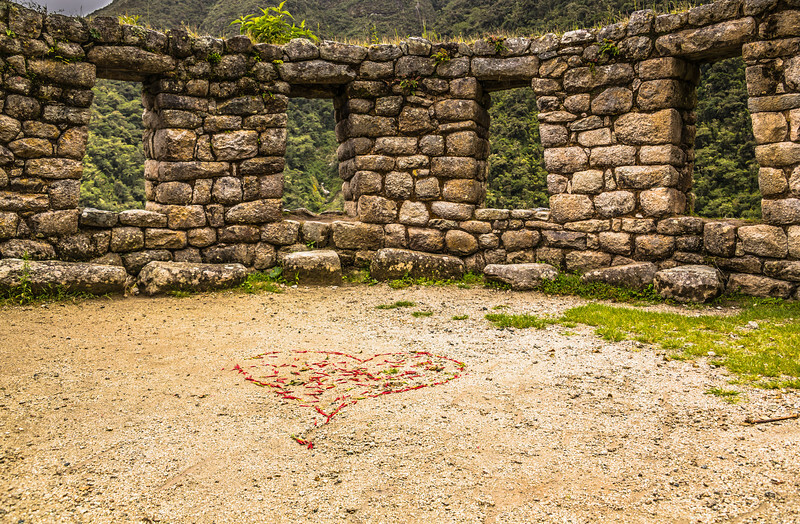 While walking on the Inca trail we passed the Winay Wayna Inca site and I noticed the heart shape. 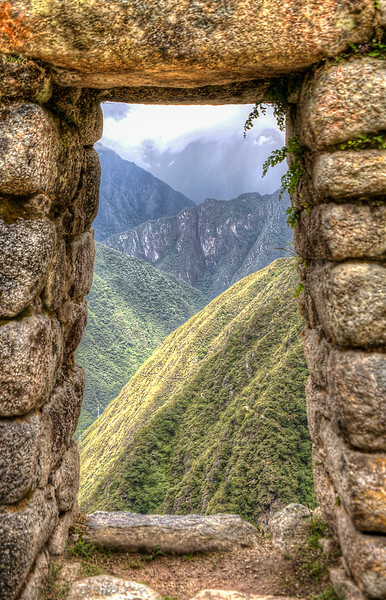 One of the outlooks from the Winay Wayna Inca sites. 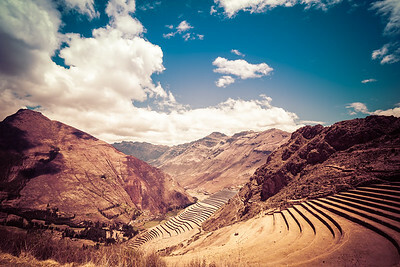 What an amazing view. 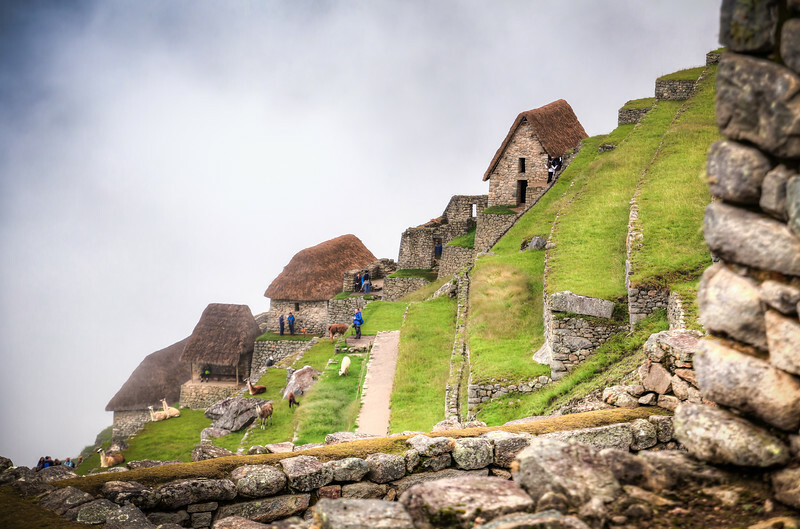 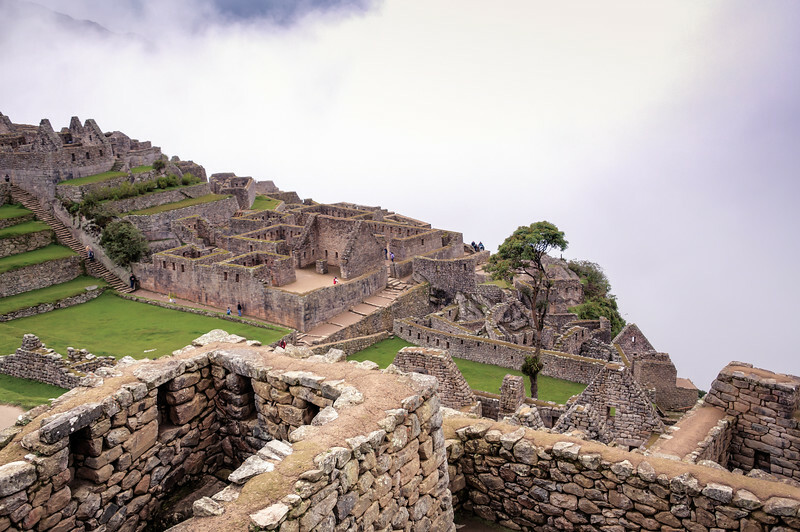 ...and yes, if you are planning to do the Inca trail you will walk all the way up from the bottom to the top! 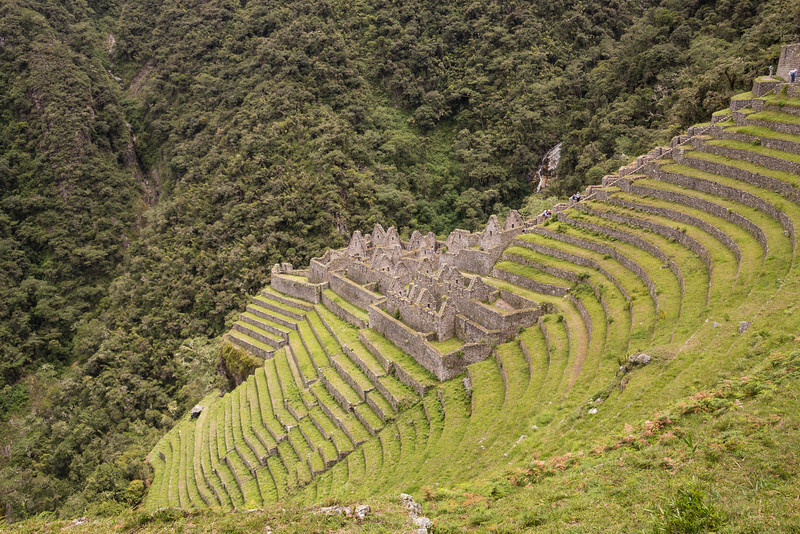 I have so much respect of the Incas who built this site with nothing else than their muscle strength. 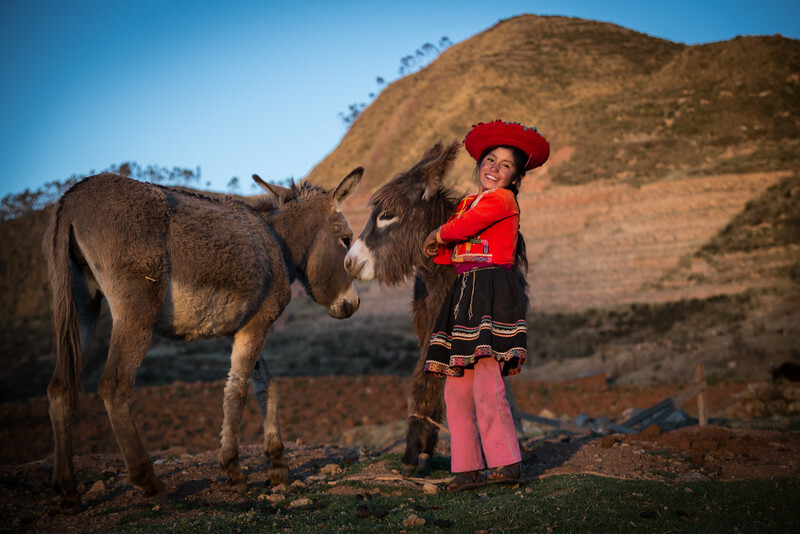 This Peruvian girl in her traditional clothes playing with the donkeys had the most beautiful smile in the world to me. 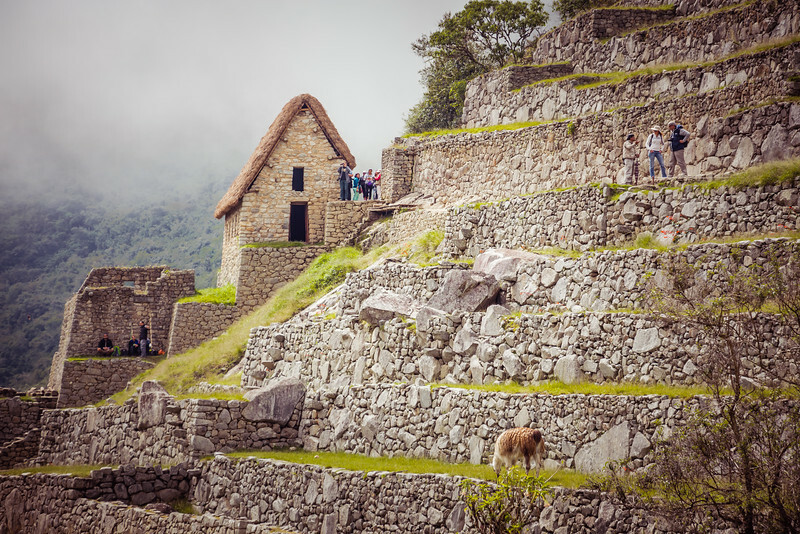 Poor but happy - this is something the westernised world can learn from. 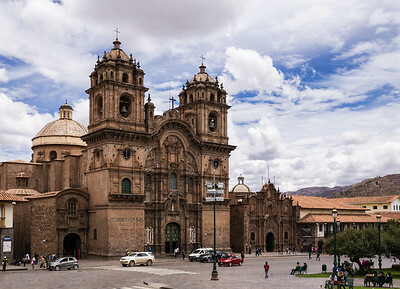 The Cathedral Basilica of the Assumption of the Virgin is also known as the Cuzco Cathedral. 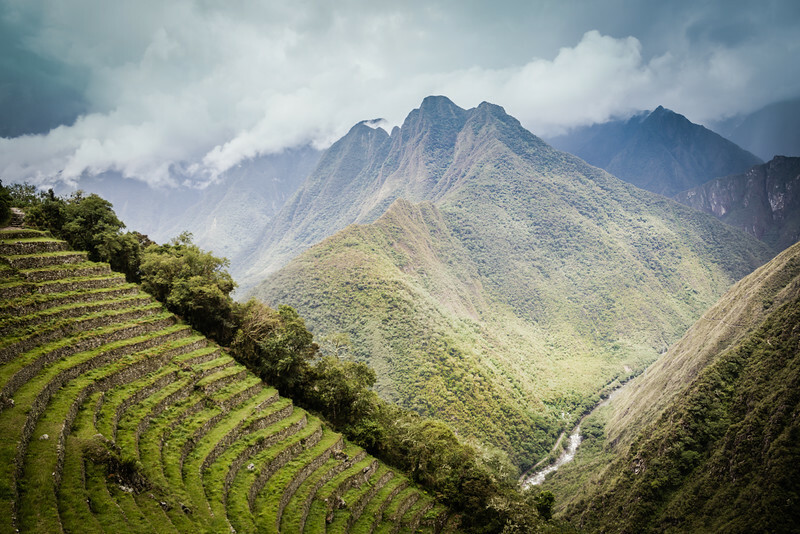 A panorama of Cuzco, Peru. 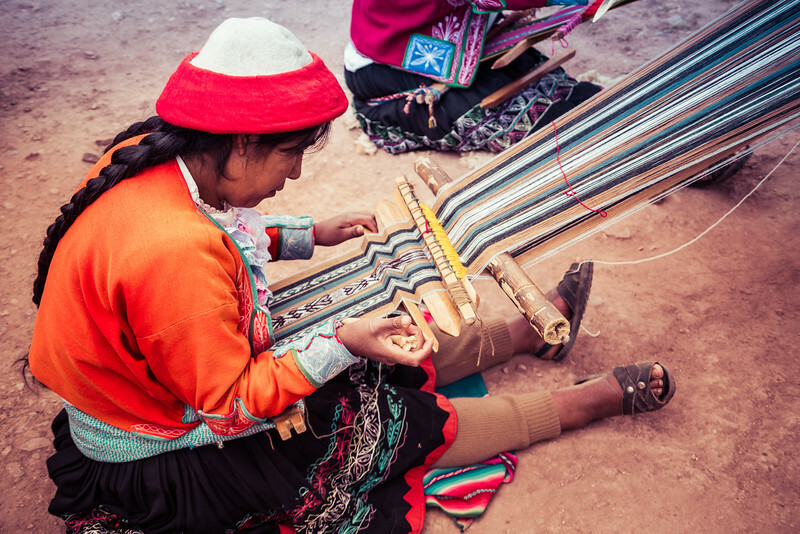 Weaving women from the Ccaccaccollo community in the Sacred Valley in Peru. 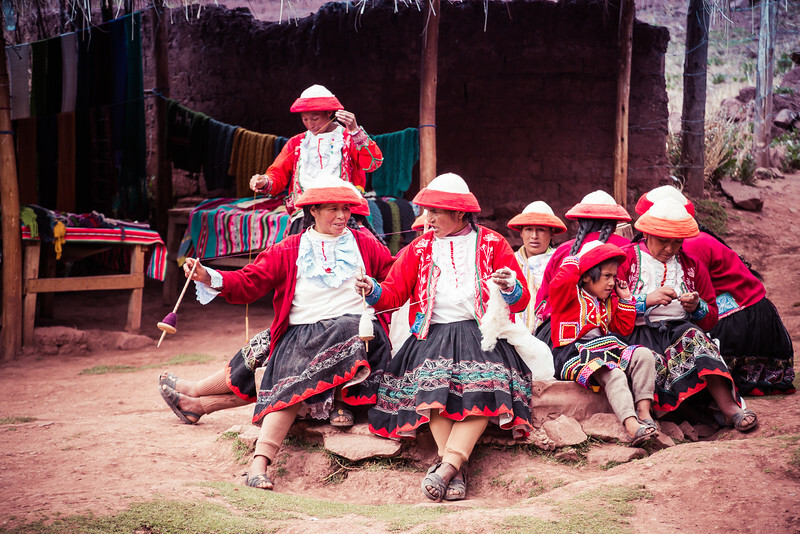 The weaving women from the Ccaccaccollo community in the Sacred Valley in Peru. 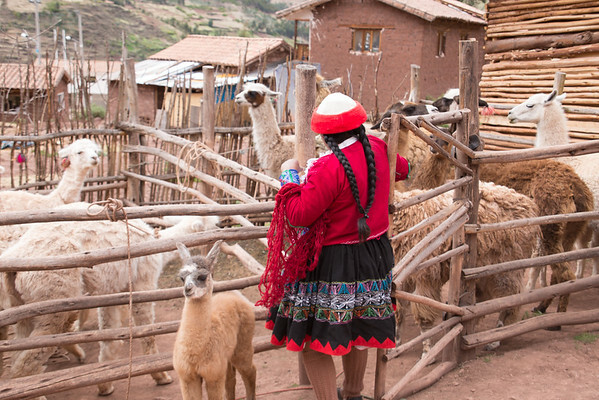 The llamas from the Ccaccaccollo community in the Sacred Valley in Peru. 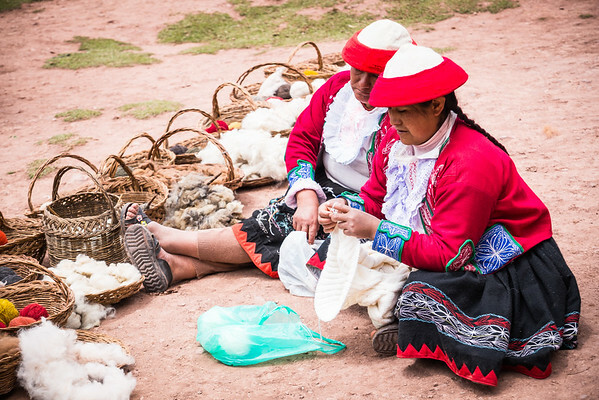 The women from the Sacred Valley produce their own clothes and sell it to travellers. 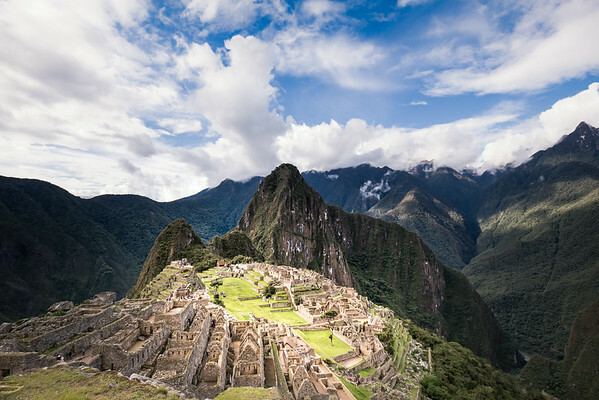 The wool used comes directly from the llamas and Alpacas. 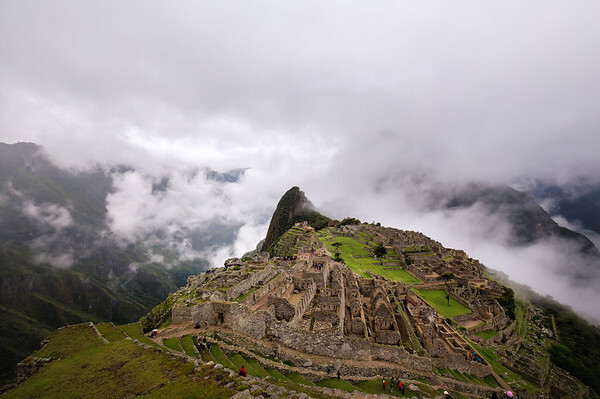 Machu Picchu inca site from above.